By all measures, Erick Dargan was one of the best safeties in college football last year. The senior led the Ducks with 95 tackles and seven interceptions, all while playing in the pass-happy Pac-12 Conference. 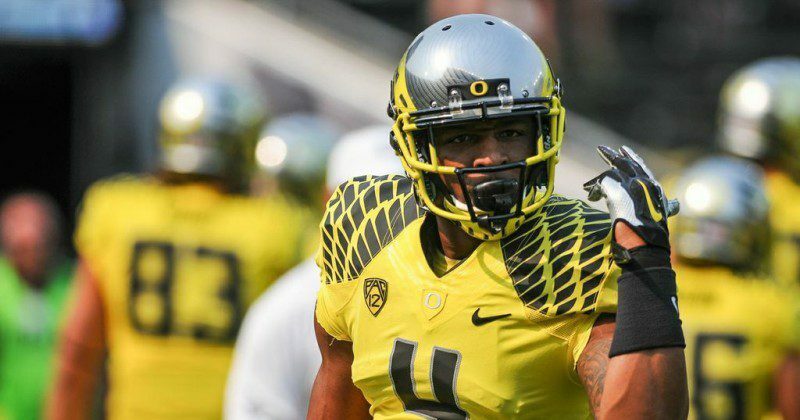 Dargan was both the physical and emotional leader for a defense that, although not excellent, played well enough to help lead the Ducks to a national title game. Just ask the Florida State Seminoles how they feel about Dargan and the rest of Oregon’s defense. Against the Seminoles in the Rose Bowl, Dargan recorded eight tackles, a pick, and he even forced a fumble. 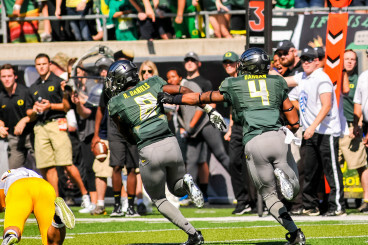 When the Ducks needed a play on defense, Dargan was there. CBS.com has Dargan ranked as the eighth-best strong saftey and the 210th best prospect overall. That projection has Dargan landing somewhere in the sixth round. Now to be fair Dargan has his limitations. He’s not the fastest, and he’s a little undersized (5’11”). What he lacks in physical attributes, though, he more than makes up for in football IQ and dynamic play-making ability. As Ducks fans, we all know that whatever team gets him will have a steal of a draft pick. Here at FishDuck.com we wish Dargan all the best as he transitions to the next level.